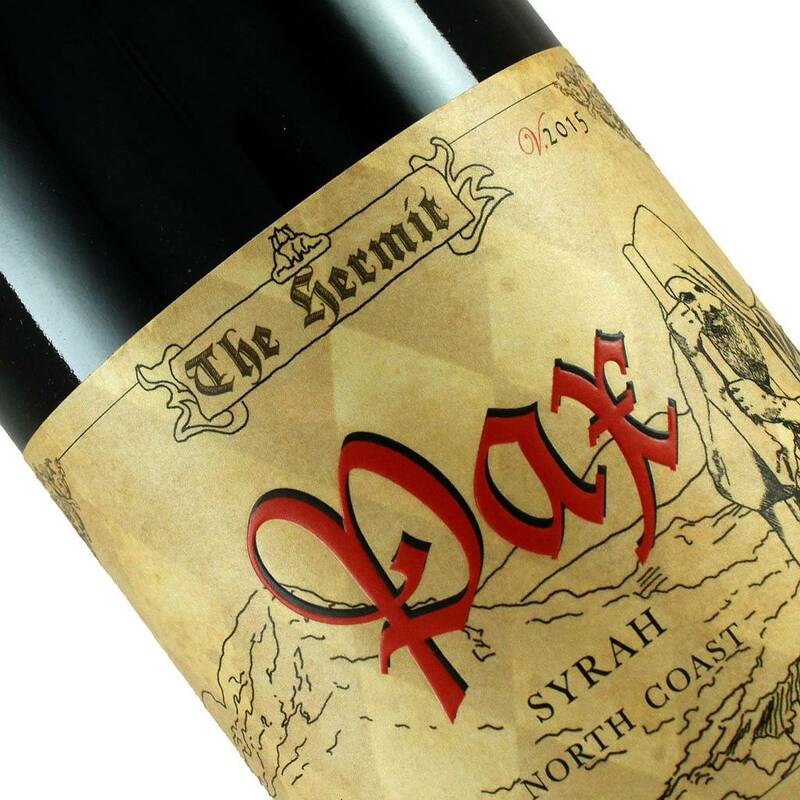 Named after the legendary hill of Hermitage in the Northern Rhone of France, this Syrah is fermented entirely with whole grape clusters and aged in neutral French oak barrels for 18 months. The wine comes across as ripe and powerful, rich and inky black in the glass. Blackberry and plum fruit is lightened with blueberry flavor here with enough secondary flavors of pepper and subtle black olive to make the wine fun and interesting. Not as smoky or meaty savory as other Syrah but that is a good thing as the quality fruit can shine and be the star here. Strong enough to pair with BBQ meat and rich sauces.